Transforming Faces is passionate about our mission of providing care and services to those who have been born with cleft palate and cleft lip. For this reason, we serve the amazing people of Ethiopia through our valued partnerships and we won’t stop until every person who suffers with one of these conditions receives the care they need. Of all of the smile charities in the world, Transforming Faces stands apart because of our focus on making a difference, our desire to changing lives, and the hope that we offer to those who might never have had it. Our mission: to transform lives, one person at a time. Consider donating to our cause today! 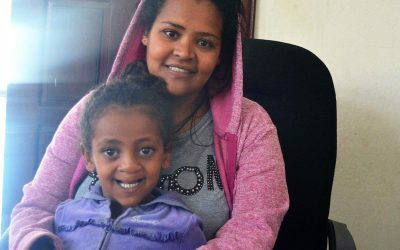 In 2015, Addis Ababa University launched its first formal degree program for speech therapists. Now, with support from TF and the Toronto Addis Ababa Academic Collaboration (TAAAC), the first cohort of students are set to complete their studies this January! 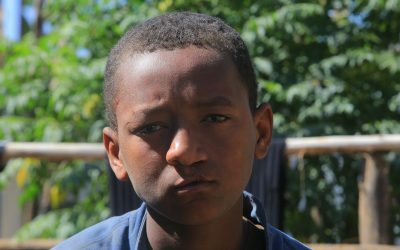 In 2017, TF began a collaboration with TAAAC, a unique, multidisciplinary educational initiative partnering with the University of Toronto and Addis Ababa University in Ethiopia. TAAAC works to strengthen the capacity of professionals in medical, engineering and social sciences in Ethiopia. Together, TF and TAAAC facilitated training of Ethiopia’s first cohort of undergraduate speech therapists, set to graduate from Addis Ababa University in early 2019. Six-year-old Sara is thriving today – thanks to TF’s Ethiopian partner and our dedicated supporters in Canada! Learn more about Sara’s journey. 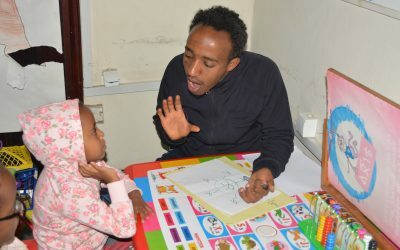 Speech therapy in Ethiopia is on the cusp of a significant breakthrough: moving from a single qualified speech therapy in the country, to 8 trained speech therapists in 2019. Learn how we made this happen.